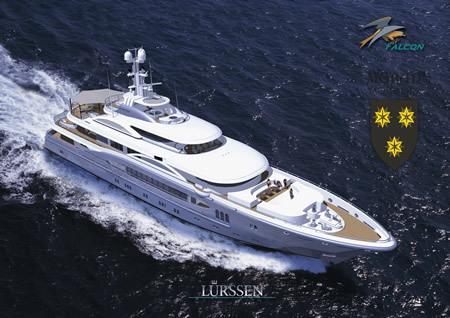 KISMET (Project FALCON) is a 223ft Motor Yacht built by Lurssen in Germany. This magnificent vessel features an exterior designed by renowned architect Espen Oeino and award winning interior designers Reymond Langton. Glasszoo completed three significant glass projects for key areas of this superb motor yacht. 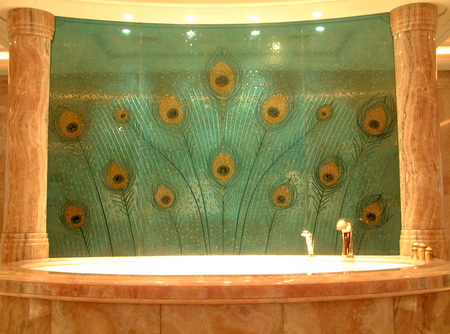 The Owners Bathroom features stunning fused panels that are gently curved to create a dramatic and decorative glass wall behind the oval bath. 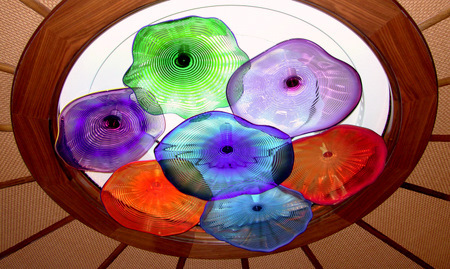 The Beach House features a colourful group of mouth blown forms as the centre piece in the ceiling which allows for natural and LED lighting. 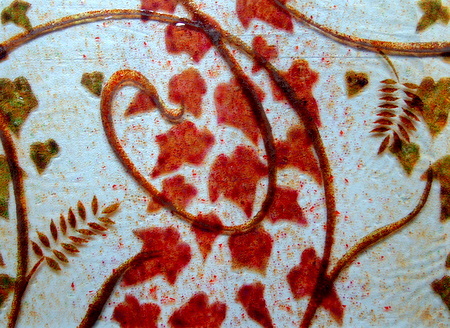 The Main Salon is divided by a magnificent fused and laminated panel with a leafy autumnal theme.